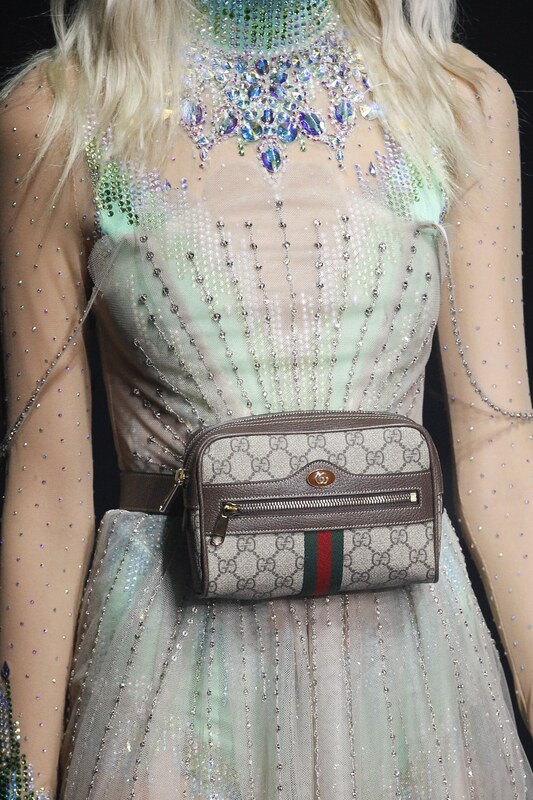 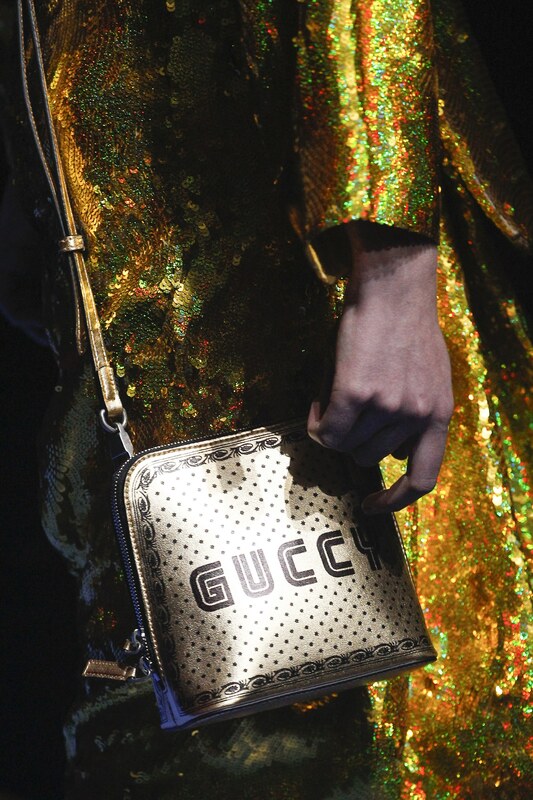 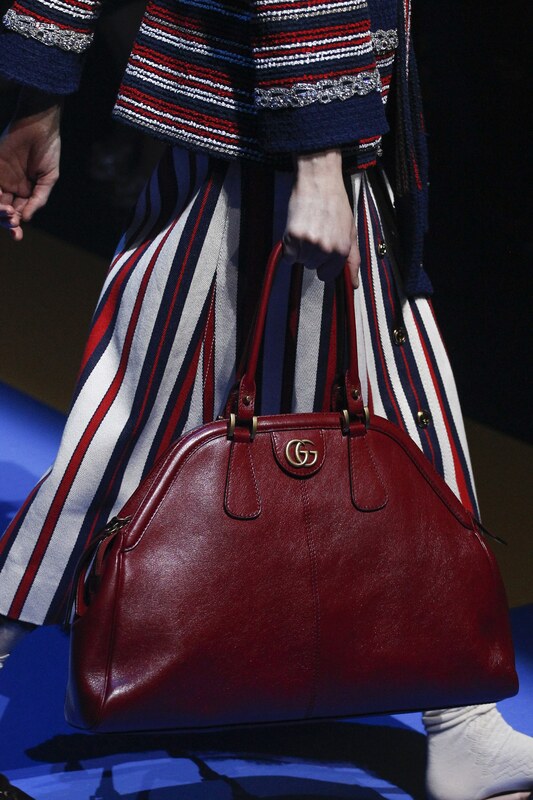 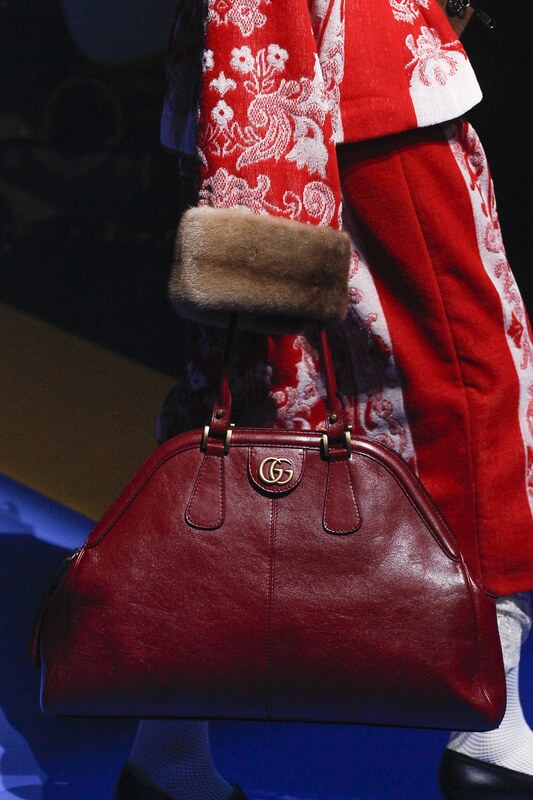 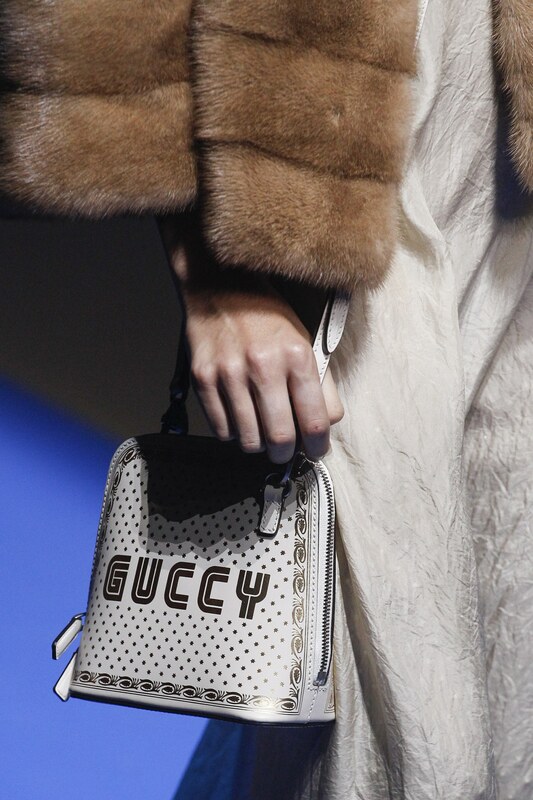 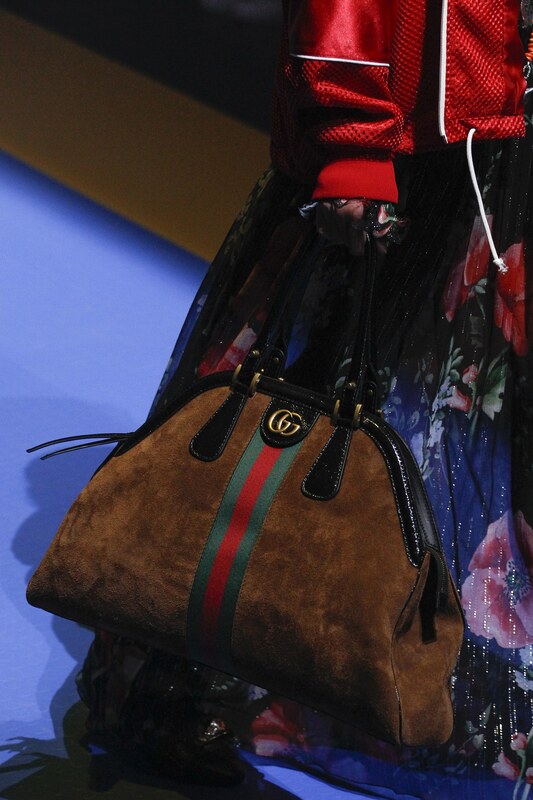 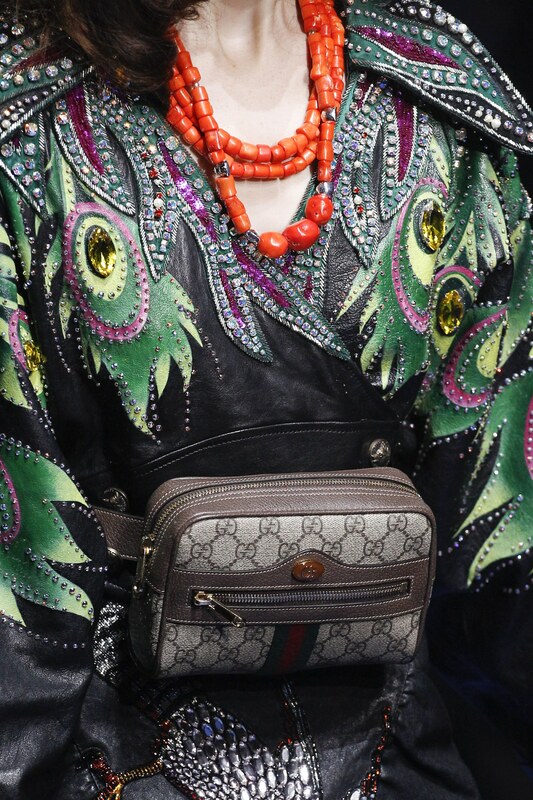 Looks like Gucci has created handbags that will surely be a hit once again as soon as summer starts. 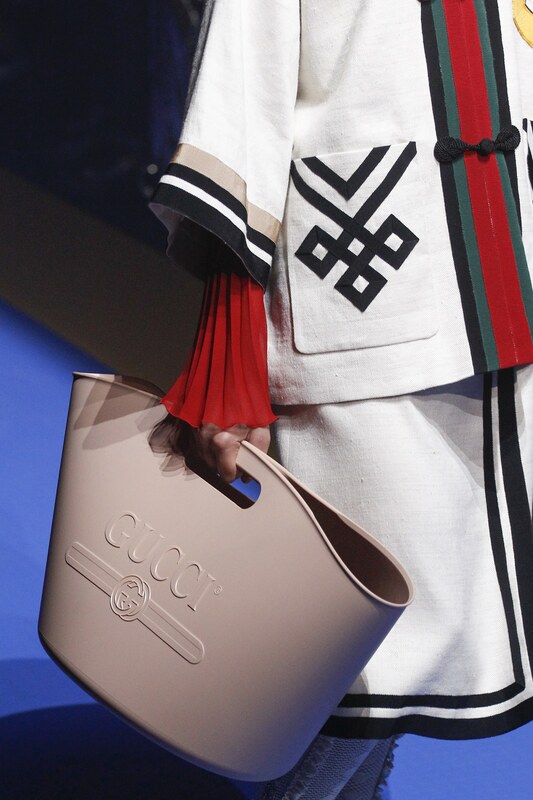 The chic rubber tote bag with a vintage logo will be a perfect beach bag. 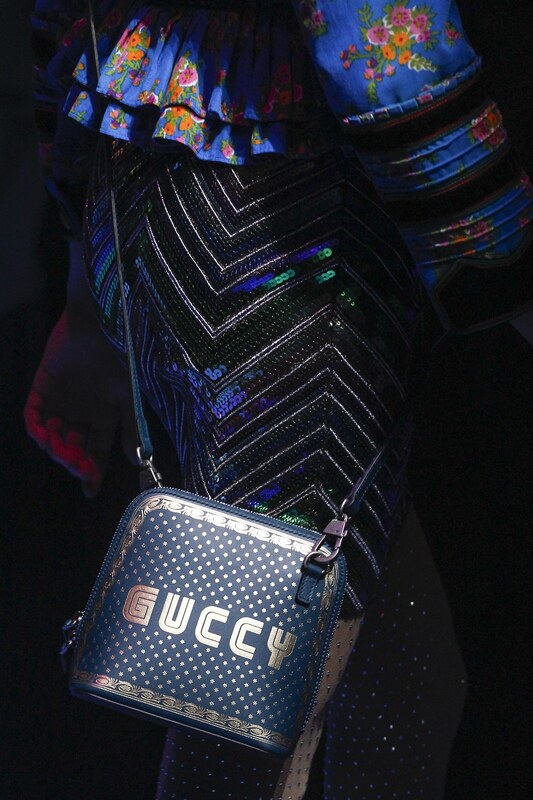 Mini crossbody bags and clutch bags presents “Guccy” prints that were inspired by the font of the famous Japanese video game,SEGA. 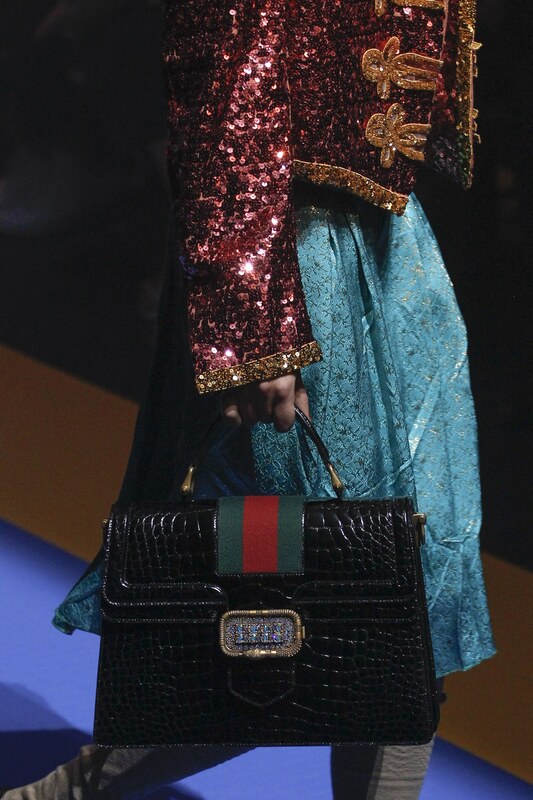 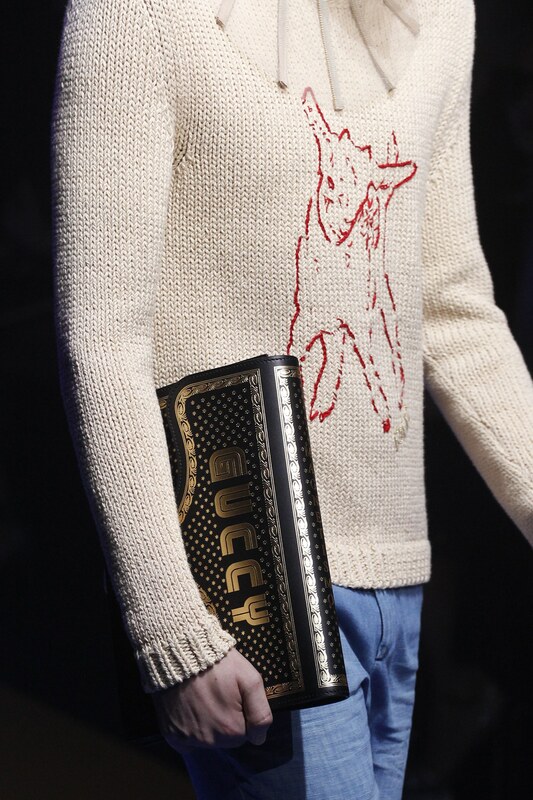 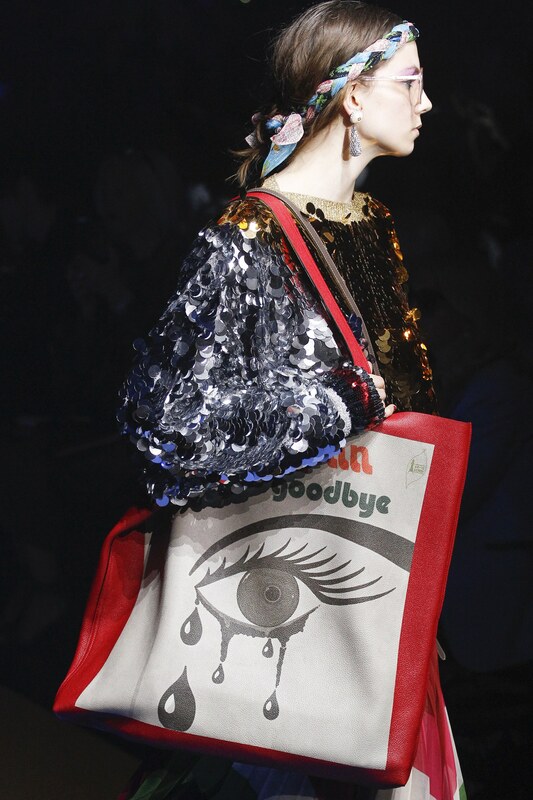 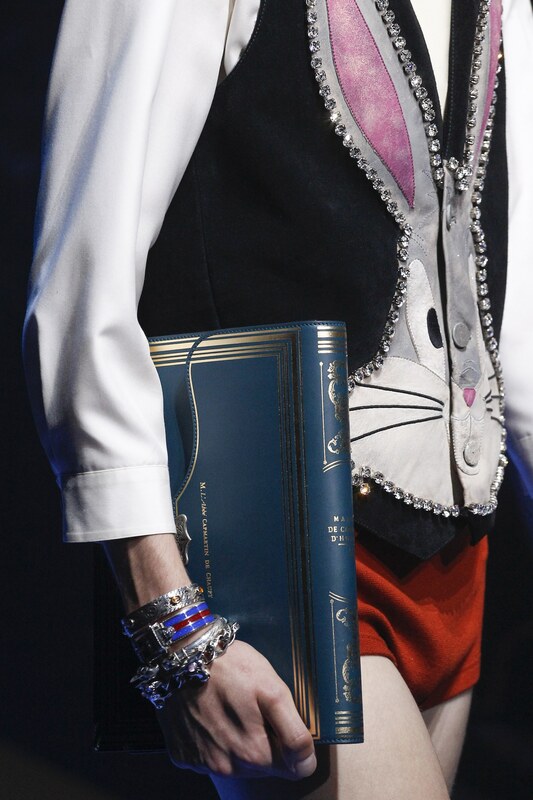 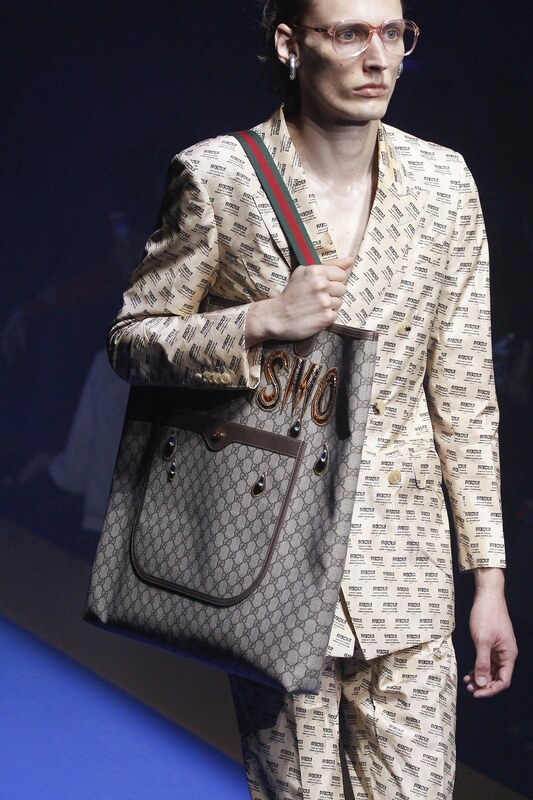 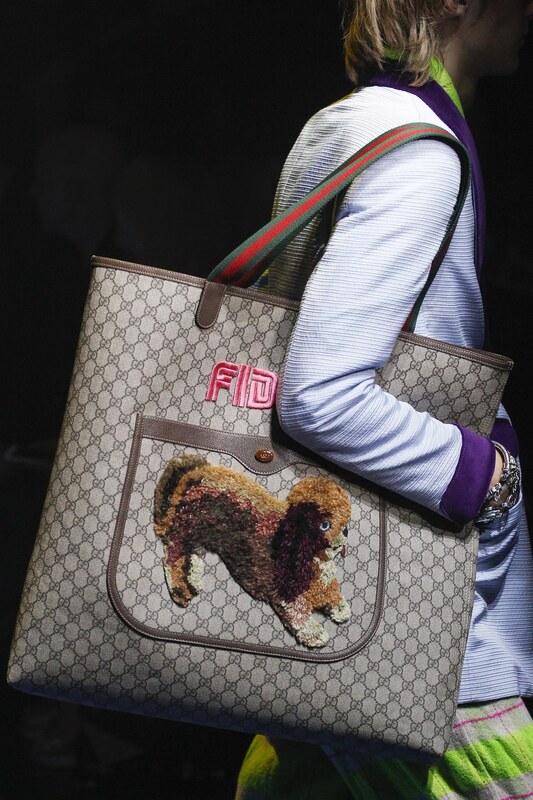 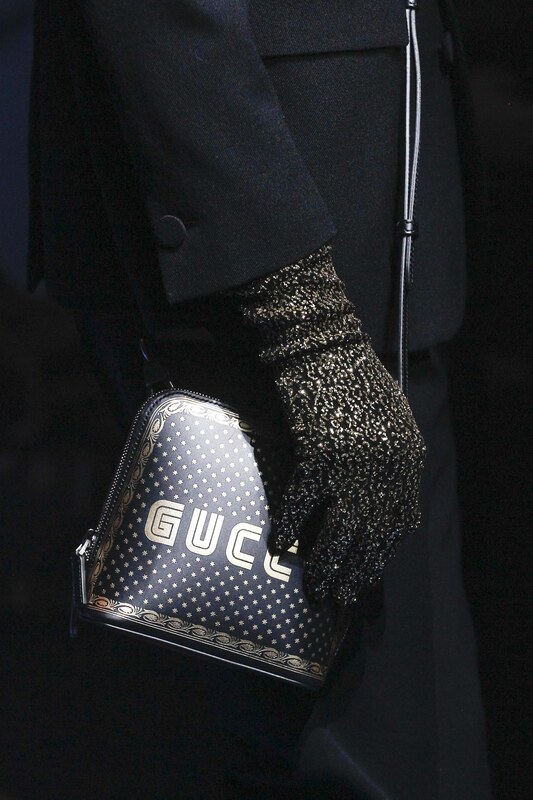 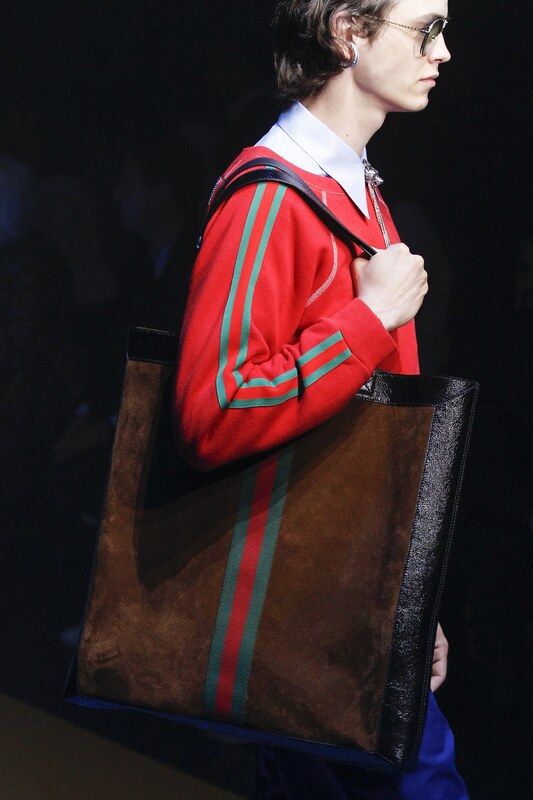 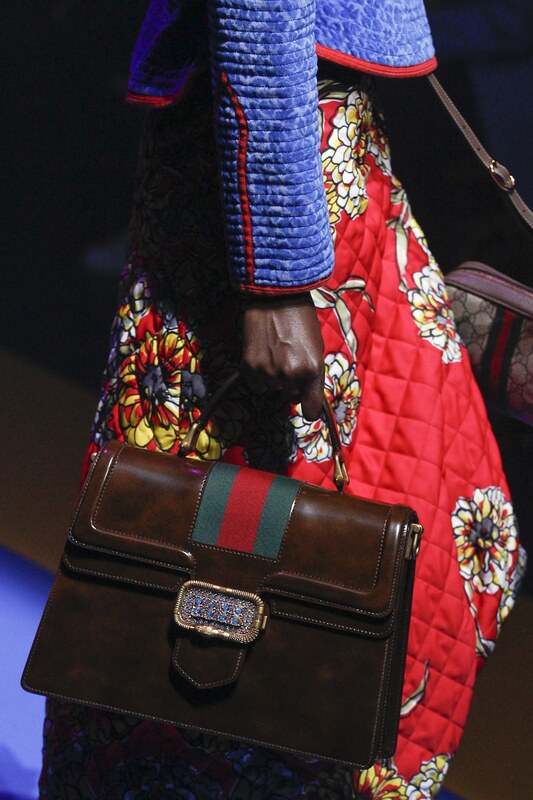 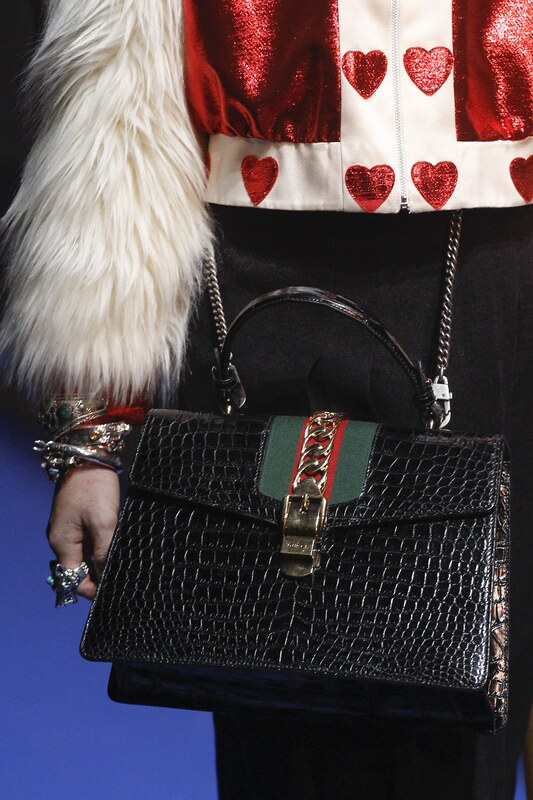 Gucci also pays homage to Sir Elton John in a line-up of ready-to-wear items inspired by the singer/song writer outfits. 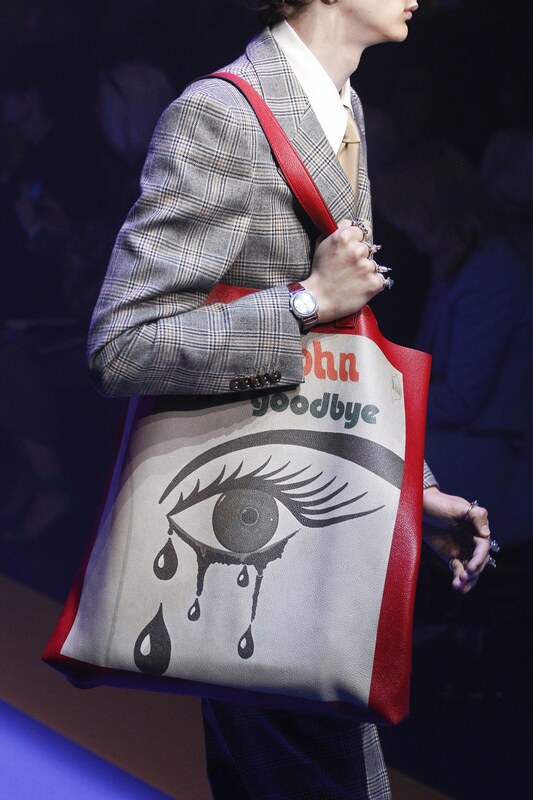 His album cover was even printed in one of this season’s tote bags. 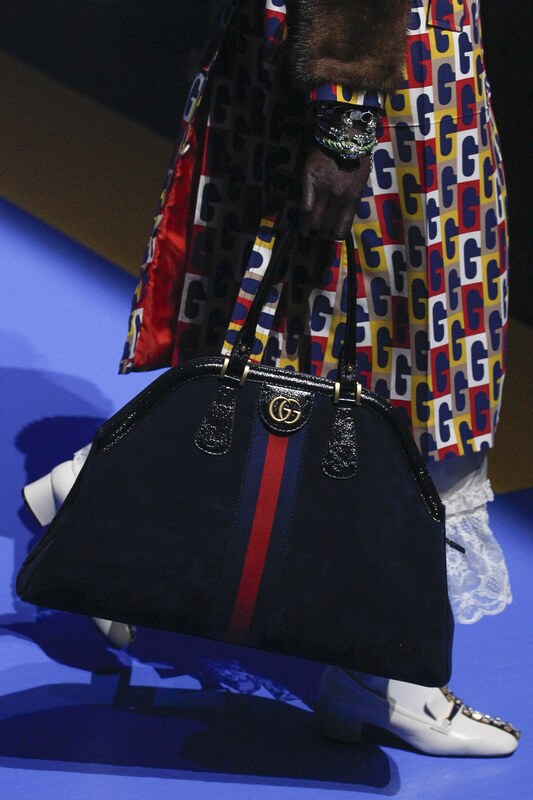 While the iconic GG Supreme pattern comes in tote, shoulder bags, crossbody and belt bags. 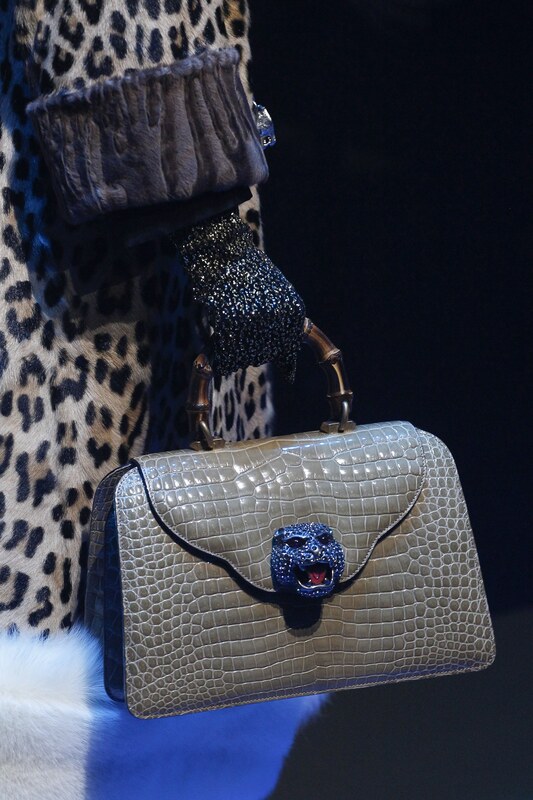 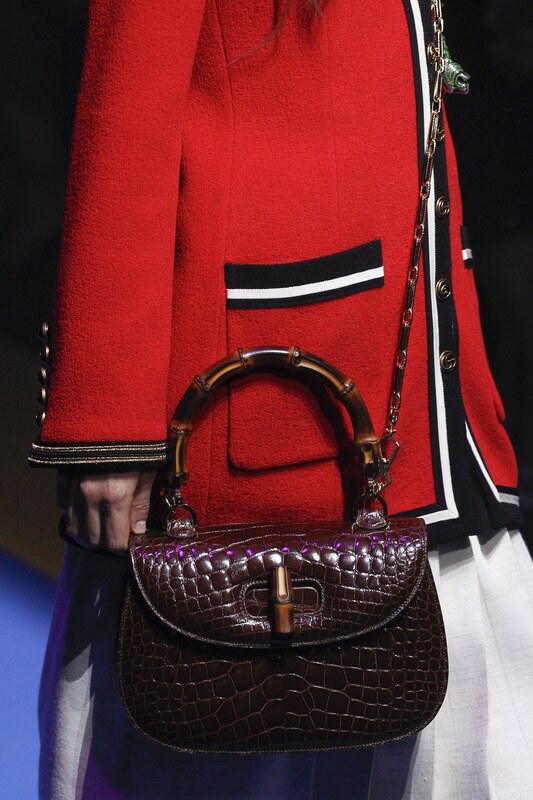 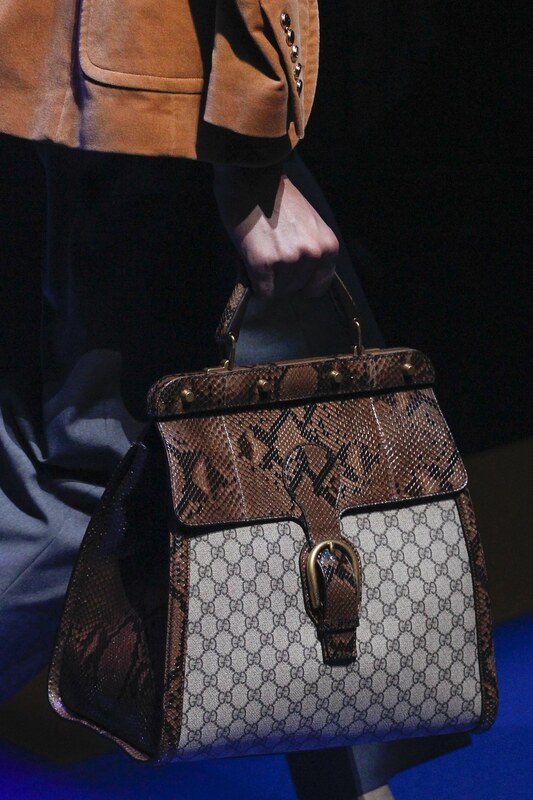 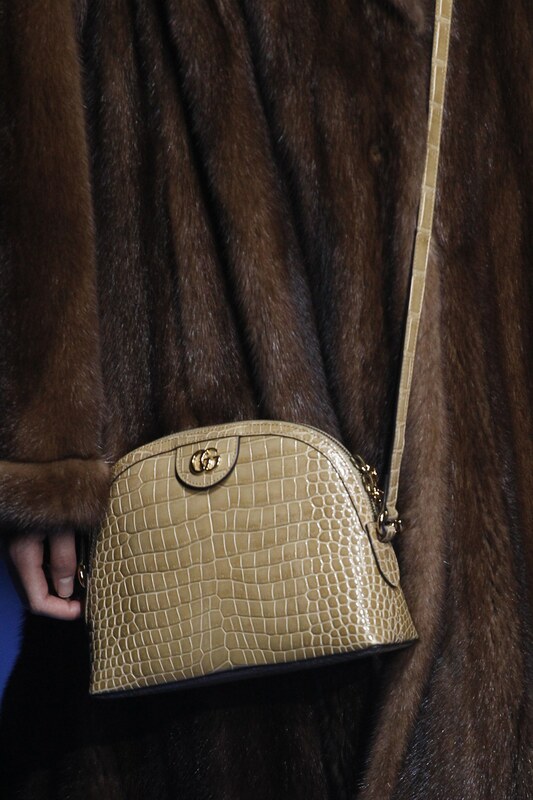 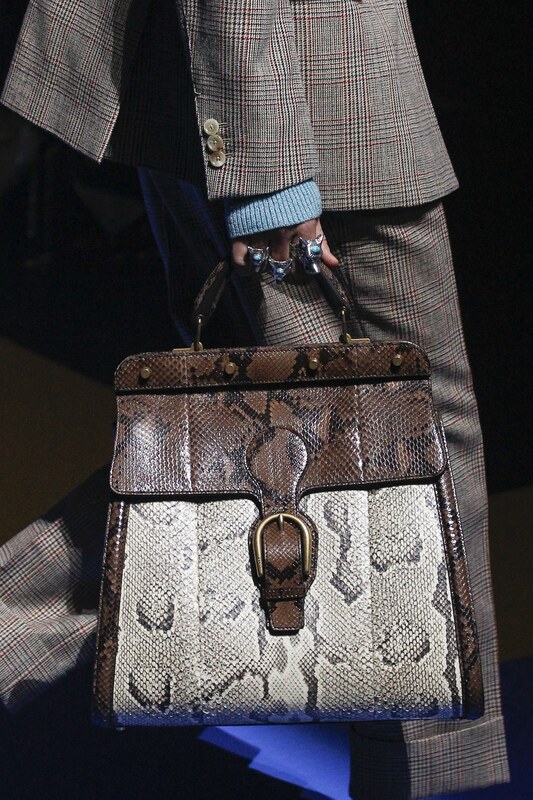 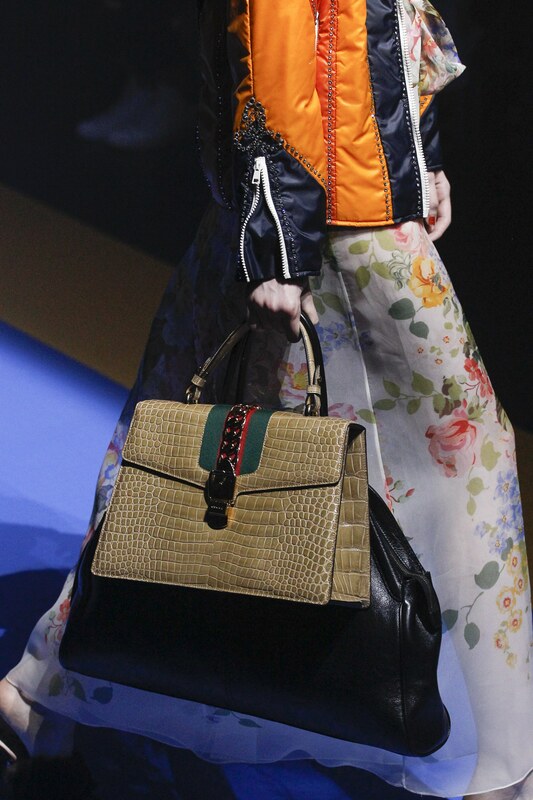 Top handle bags in crocodile and python made it to the runway, including the brand’s signature Sylvie bag.